-Students will be inspired to see a range of opportunities that mathematics can hold for them. Students will meet the community of mathematical mentors in the Gateway region. The Math Alliance has mentors to help underrepresented students pursue mathematics careers at many of the community colleges, four-year institutions, and universities in the region. These mentors are excited to find talented students and assist in their studies. This one day event will include lunch and a light breakfast. Travel assistance is available on a limited basis, please enquire with us at podleska@hssu.edu. Free on campus parking will be available. 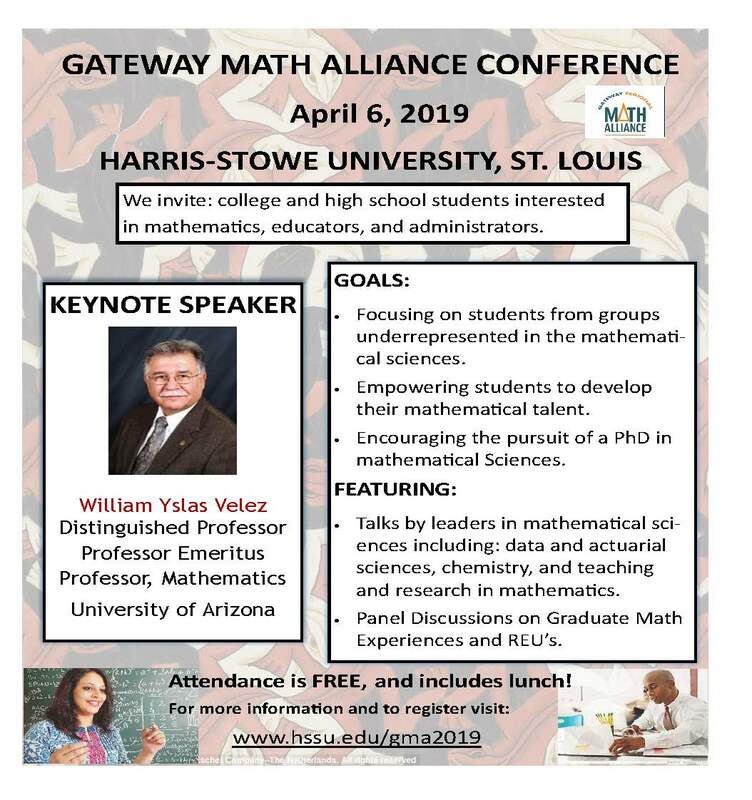 Come join our kickoff conference for the Gateway Regional Math Alliance!"